Does your content marketing strategy need a rethink? Content marketing, including social media activity, is very important to help businesses gain a rapport and engage with their customers. From regularly updating your blog to posting useful and informative content, or competitions via your social media channels. Content marketing is a very useful weapon in your digital marketing strategy. A well-planned content marketing strategy can be very successful in engaging your potential customers, positioning your brand as a thought leader and increase enquiries and sales. It can also be a great way to increase traffic to your website by increasing visibility in the search engines and on social media platforms. 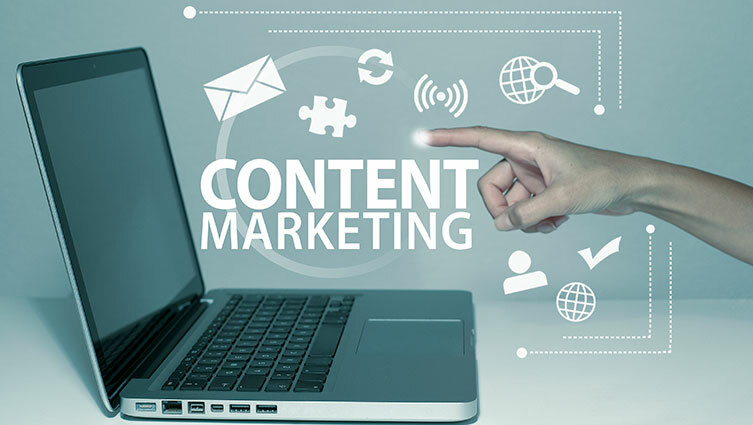 There is no one size fits all strategy when it comes to content marketing, it is imperative that your content marketing strategy is devised with your business objectives in mind and that your content is tailored to the interests of your audience. There are however some very clear signs that your content marketing strategy many need rethinking, let’s take a look at two of the most common signs. One of the main benefits of content marketing is the increase in traffic to your website, if however, you are not seeing these results you may need to go back to the drawing board. Low website traffic can be an indication that your content is simply not easy to find, this is where search engine optimisation comes into play. To ensure you get maximum visibility in the search engines it is imperative that your content is search engine optimised. It is important to conduct thorough research and gain an understanding of the keywords and phrases that are relevant to your industry and be sure to include these in your content to help Google better index your content, therefore making it easier to find. Think about the search terms you would use if you were looking for your product or service and plan your content around them to ensure you are visible in the search engines. The same goes for any content that you share on social media, always try to include keywords, phrases and hashtags that people are likely to be searching. If people are not liking or sharing your content, following your social media pages or blog and are not taking your call to action or signing up for your email newsletter, it is likely that your message is unclear or just not engaging enough. Overly promotional content is one of the main reasons why your audience may not be engaged, content should be informative and should offer a solution to the possible pain points your audience are experiencing. A good rule of thumb is to aim for your content to be 90% informative and 10% promotional, so basically not feel like an advert and make the reader feel like they are gaining something from following you and subscribing. Another factor to consider, especially if your session duration (time spent on website or specific page) is low, is they layout of your content. For the best results always try to write your content is small bitesize chunks rather than line after line of words. Keep paragraphs to a maximum of five lines to appeal to your audience and keep them engaged. We can help you engage, entertain and inform your customers and prospects by sharing content with them. This content will help you to demonstrate your expertise and will start to influence your audience resulting in higher levels of engagement and more enquiries.